As members of Charles Manson's messianic cult, several of the so-called Family committed murders at his request. Mostly young women from middle-class backgrounds, they were convinced to join his Californian desert commune. Radicalised by his obsession with an imagined upcoming race war, Family members would kill nine people in the summer of 1969. His vision did not materialise, and he and his followers were tried for their crimes. But where are they now following their cult leader's death? Atkins was convicted and sentenced to death for her part in the killings known collectively as the Tate-LaBianca murders. Like Manson himself, her sentence was commuted to life in prison in 1972 when California's Supreme Court abolished the death penalty. During the trial she admitted stabbing Sharon Tate to death, saying she did not know why she did it. At the time she said she had no guilt, but later showed remorse for her actions. Atkins died in 2009 from brain cancer, weeks after having a request for parole because of her illness denied. Krenwinkel, now 69, has become California's longest-serving female prisoner, after admitting her part in the killings aged just 21. She testified that she joined the group and left her past life behind just three days after meeting Manson in the 1960s. In her testimony she admitted direct involvement, including stabbing victim Abigail Folger 28 times. She has been denied parole 14 times, most recently after her lawyer claimed Manson had abused her before she committed the crimes. Van Houten, who took part in the LaBianca murders, was recommended for parole in September. At just 19 at the time, she was the youngest to participate in the killings. Another Manson Family member, Catherine Share testified at Van Houten's 2017 parole hearing, saying Manson would not let people leave and threatened violence. The decision will now go through a 120-day review period, and a previous decision was overturned in 2016 by California Governor Jerry Brown. He insisted the 68-year-old still posed "an unreasonable danger to society". Sharon Tate's sister has regularly spoken out against possible paroling of members of the Family. Responding to news of Manson's death, she told US news channel ABC that she was not relieved because she considered the others "much more dangerous individuals". Originally from Dallas, he left college and moved to California, where he lived with other Family members at the Spahn ranch. He was said to be the leader of the women at the Tate-LaBianca murders, declaring: "I am the devil. I am here to do the devil's business". He fled to Texas, where he resisted extradition for trial for nine months, so was not tried alongside Manson and the three women. He was also sentenced to death but had his sentence revised to life imprisonment. He remains in Mule Creek prison near Sacramento after repeatedly being denied parole. He fathered four children with his ex-wife during conjugal visits in prison. According to the LA Times, behind bars he has became a minister and earned a degree in business management. Lynette Alice "Squeaky" Fromme did not participate in the murders, but was a devout follower of Manson who publically supported those on trial after the 1969 killings. She was convicted in 1975 of pulling a gun on President Gerald Ford in Sacramento. The weapon didn't go off and she was wrestled to the ground and arrested. She briefly escaped federal prison in 1987 in Virginia, and was later released, at age 60, in 2009. The former actor and musician went with two other followers to kill Manson Family friend Gary Hinman in the first of the group's murders. He later said he only went to see Hinman to collect money, and not with the intention of killing him. He consistently denied he was ever part of a "cult" or had his "mind controlled". Behind bars he has made music, built instruments and made art which is sold online. Davis was not involved in the Tate-LaBianca killings, but was convicted over the murder of Gary Hinman and stuntman Donald Shea. Both Davis and Beausoleil continue to be denied parole. Kasabian acted as look-out on the night of the Tate murders, and was granted immunity in exchange for her testimony about the killings. 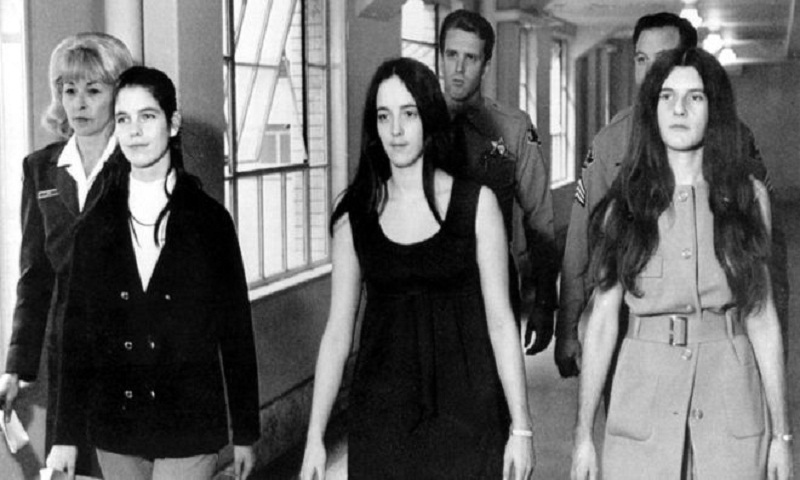 At just 20, she was a twice-divorced young mother when she got involved with Manson's sect. The trial's prosecutor told the Guardian newspaper in 2009 that he doubted Manson would have been convicted without that testimony. Now 68, she is believed to live back in her native New Hampshire. Paul Watkins, another Manson follower, also testified at the trial. He died of leukaemia in 1990. Another Family member who was not directly implicated in the murders, she too was sentenced later for another crime. She was imprisoned in 1976 alongside Susan Murphy for "conspiracy to send threatening letters through the mail" after sending hundreds of letters to company executives and reportedly making threatening phone calls. Good was paroled in 1985, alongside another member, Steve Grogan, after he helped authorities find the body of the final Manson victim, Donald Shea.